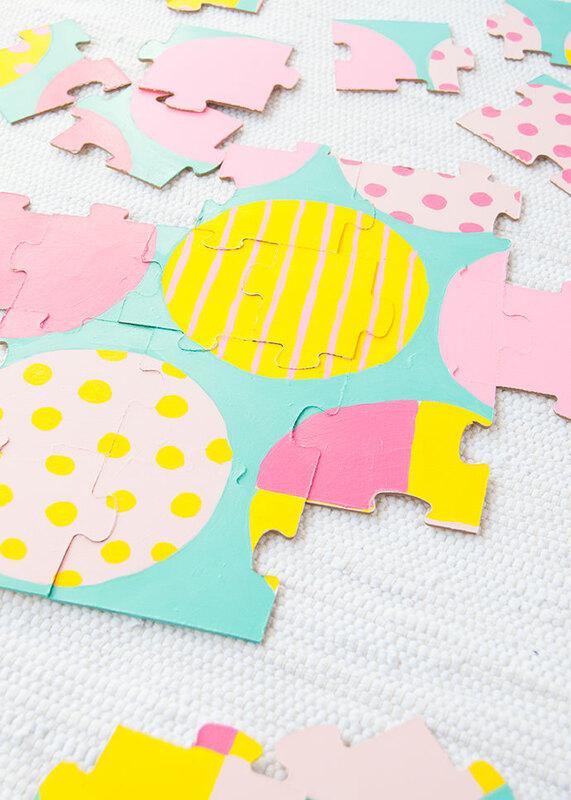 Is it just us or do puzzles seem to be getting more and more popular lately? It sometimes feels like everywhere we look, friends and family are working on puzzles! 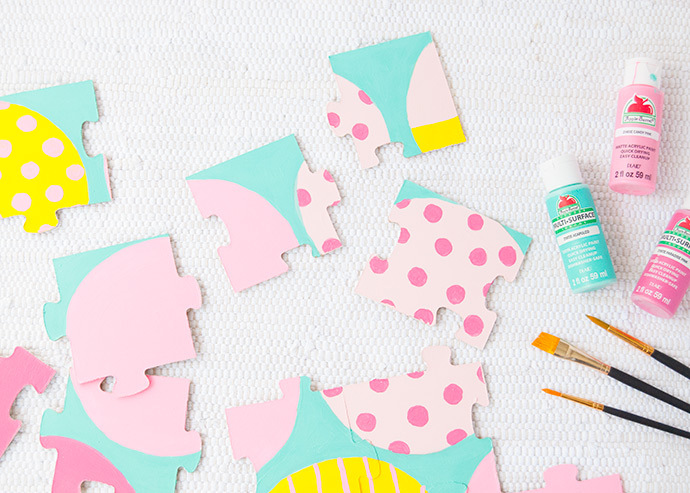 It’s been a good while since we did a puzzle ourselves, so we’re here to remedy that with this DIY painted floor puzzle! 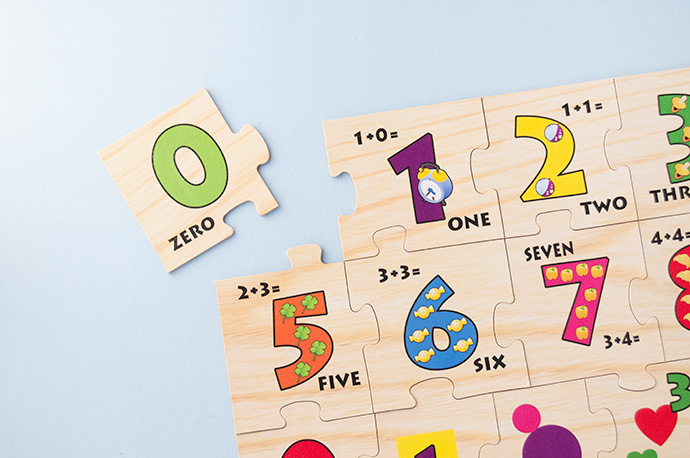 If you have little ones at home, this is a great way to work together and get started in the world of puzzles. 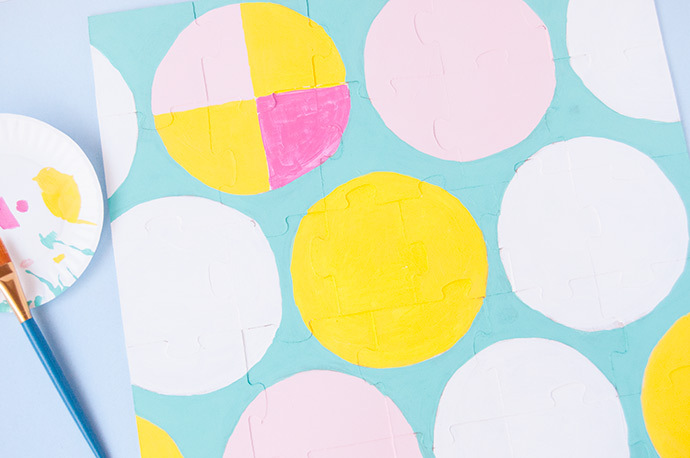 And not only can you work together to solve this puzzle, but you’ll get creative painting it too! 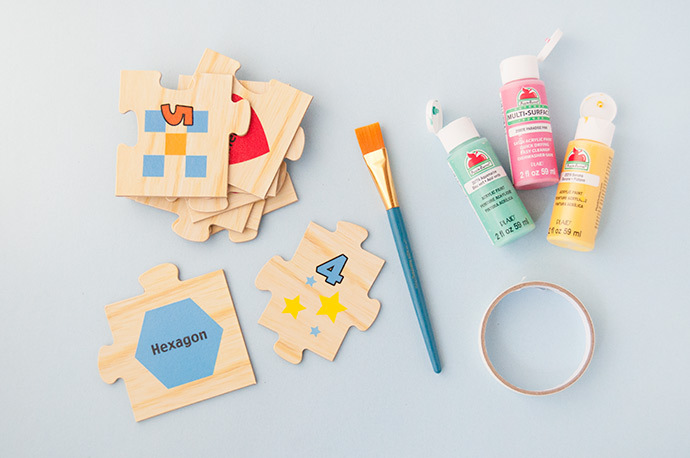 We kept ours simple with geometric shapes and patterns using a handful of bright shades of Apple Barrel paint. 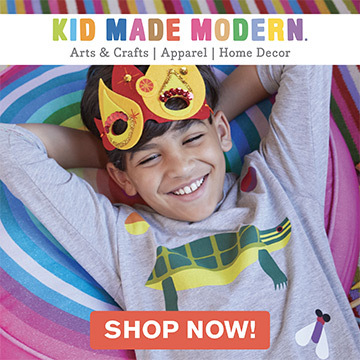 You can start by drawing a bunch of large circles like we did and fill them in with colors and patterns, or go full abstract and let your kids at it! 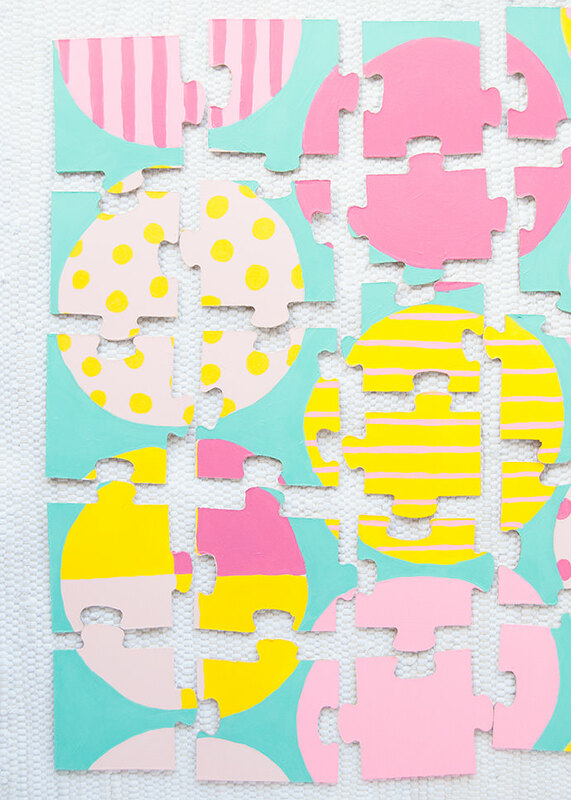 Older kids can even paint more detailed puzzles! Keep reading to see all our tips and tricks below! 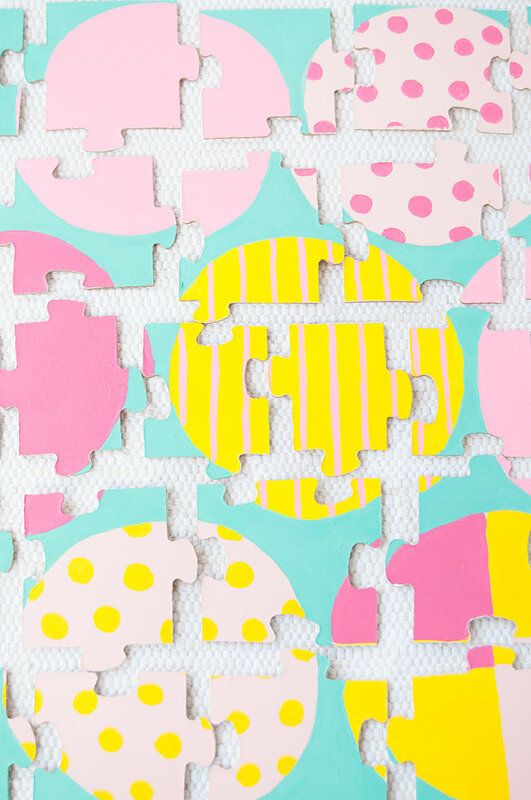 Begin by assembling your puzzle. We used this large floor puzzle we found at the dollar store. 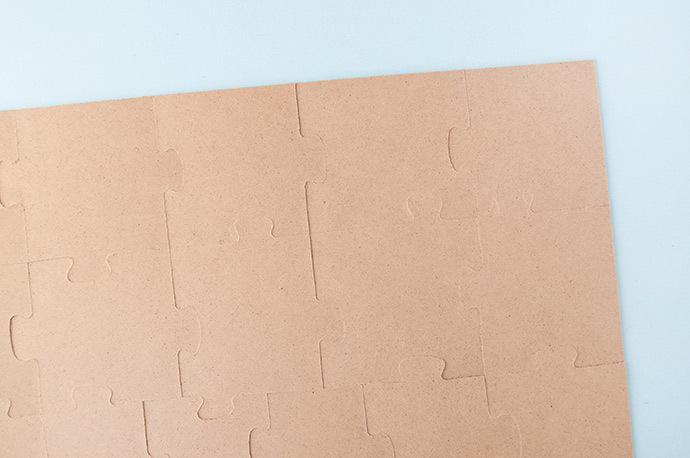 Flip your puzzle over so that the plain backside is now facing up. 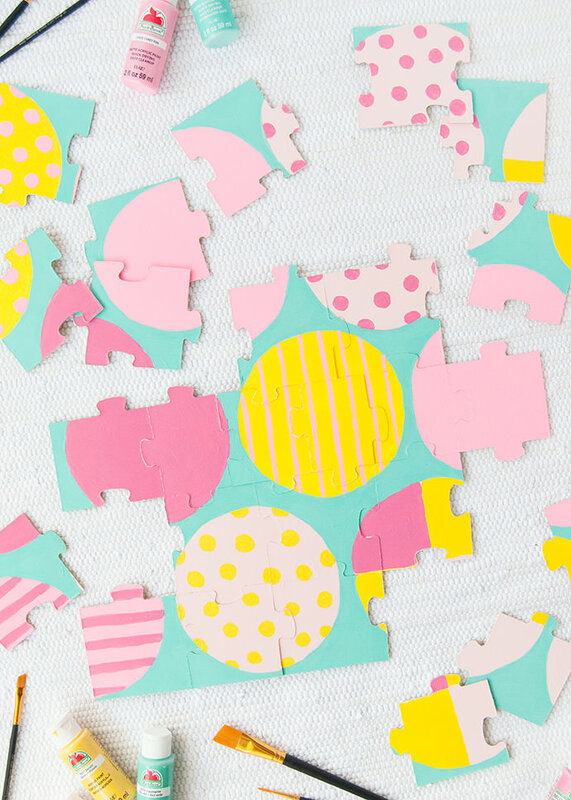 Depending on your puzzle, you may want to use masking tape to secure the pieces together before flipping over so that they stay together. 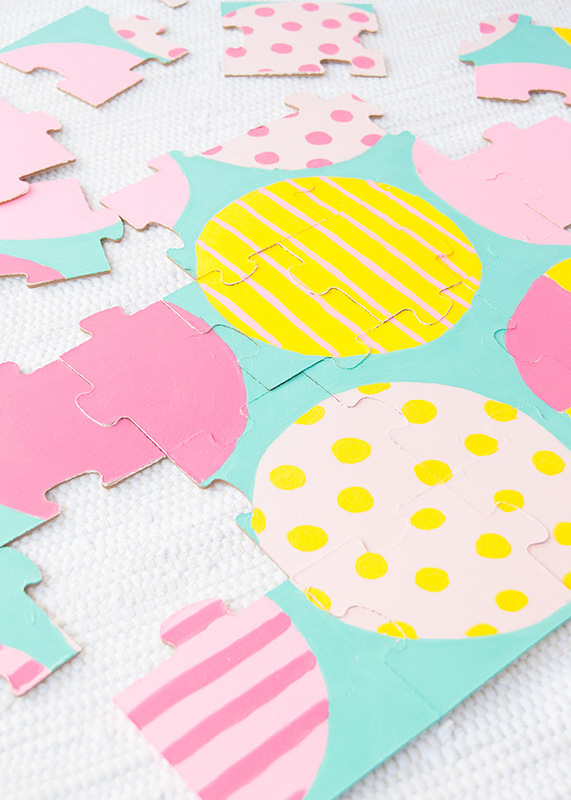 If the pieces fit snugly together though, you may be able to skip this step. Another option is to give the front side of the puzzle a base coat of paint and work from there. If having the other puzzle still visible on the back of the one you’re about to paint bothers you, this is a good option to consider. Time to get painting! 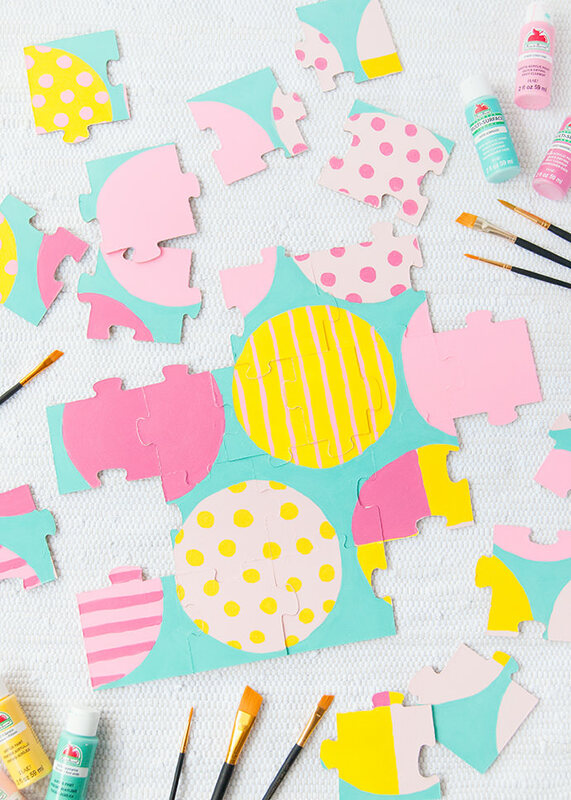 You can literally paint any design you like here – we traced a handful of paper plates onto the puzzle and then went crazy with some bright colors. 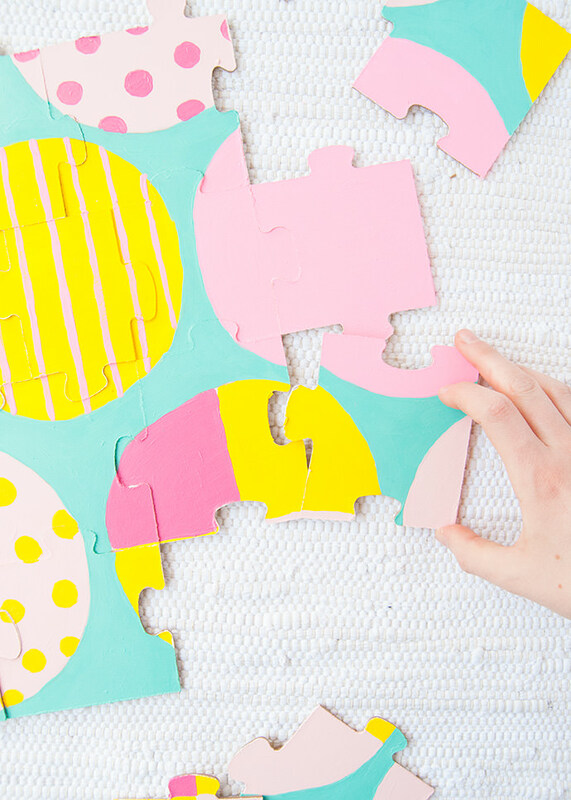 More abstract designs like this one are great for little ones to work on and since the puzzle pieces are so big, solving it doesn’t get too tricky later on. Let the paint dry completely. Once dry, disassemble the puzzle. 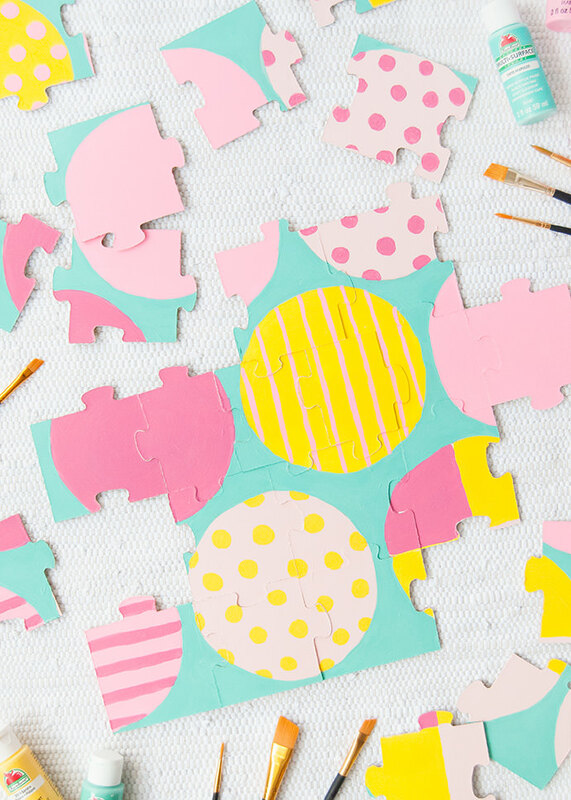 If there is any paint stuck between the pieces, carefully separate them, using scissors or a craft knife if needed, and touch up any spots with paint that may require it. And your puzzle is ready to use! !